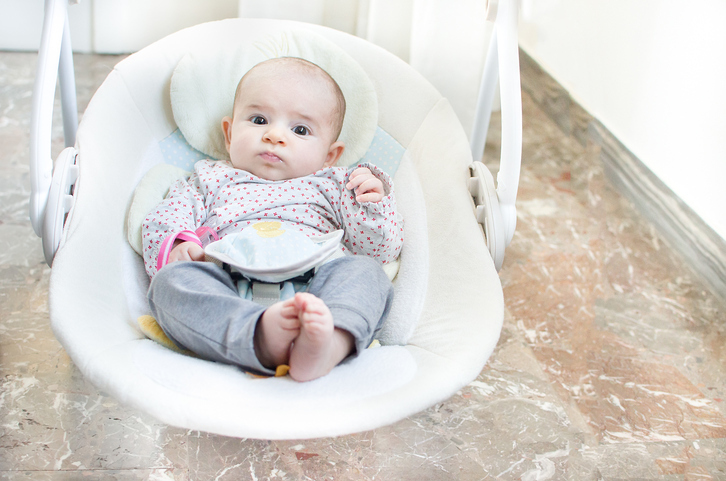 A baby bouncer seat can serve as a lifesaver for parents looking for a safe, soothing spot to put baby down. Buckle baby into one of these gently vibrating seats and turn on the lullabies, and baby just might be soothed and entertained long enough to give a mama a break. Used only for the first few months of a baby’s life, baby bouncer seats probably aren’t an item on which most parents want to spend a ton. The good news is there are quite a few options and a range of prices across the three types of baby bouncer seats out there. Most bouncer seats are battery operated and feature a couple of bounce speeds and a handful of sounds and lullabies, along with a detachable toy bar. Less common is a baby bouncer seat with an AC adapter. If you prefer, natural bouncers serve as baby seats that move when baby moves. Whichever you choose, always secure your baby in the harness when using your baby bouncer seat. Here are some of the best sellers in each category of baby bouncer seat.